ISLAND HARBOUR This spacious townhouse is approximately 12 years old and is situated in the Idyllic Island Harbour on the eastern banks of the River Medina. 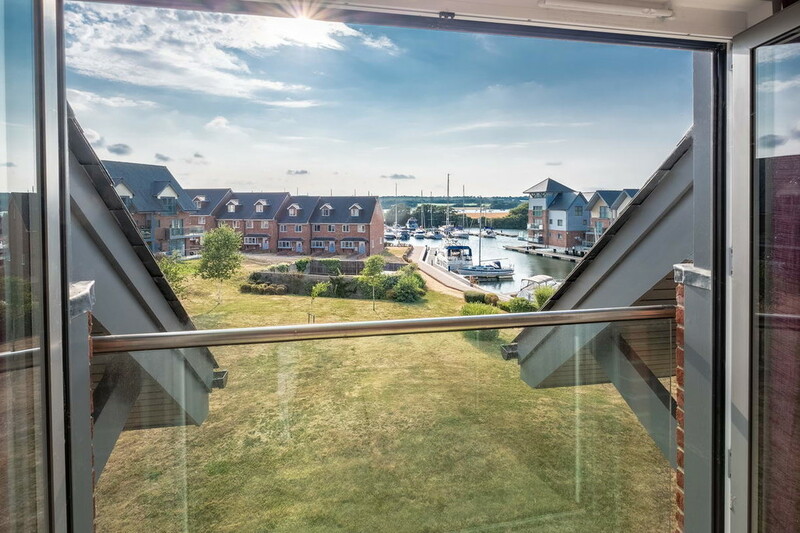 With just under 100 properties, Island Harbour is home to permanent residents, secondary residents and holiday makers alike. The locked harbour is a safe and secure place to moor a boat and number 14 benefits from having an allocated mooring in front of the house.The harbour also benefits form a restaurant and other amenities including a chandlery, boat builders with a repair workshop, 50 ton hoist and slip crane, hard standing, showers and laundry room, There is also a multi use path along the river to Newport Quay, and footpath to the Folly Inn. 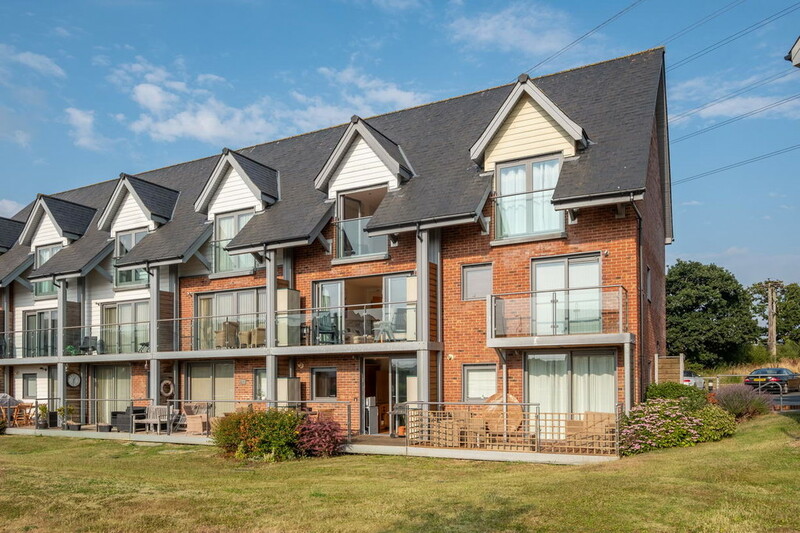 14 CORMORANT GROVE is an immaculate 3 storey townhouse situated adjacent to the marina with its mooring practically in front of the property. 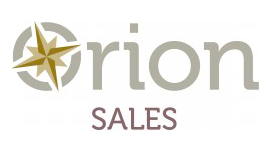 Other benefits include 2 balconies and further Juliet balcony, super harbour views, use of communal gardens and parking. 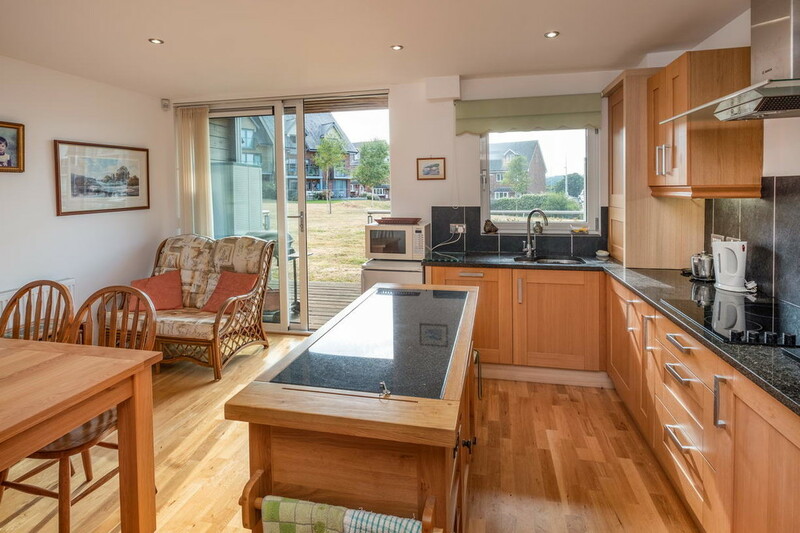 KITCHEN/DINER Light and airy room with sliding doors onto a wooden decked balcony, and the communal gardens beyond. 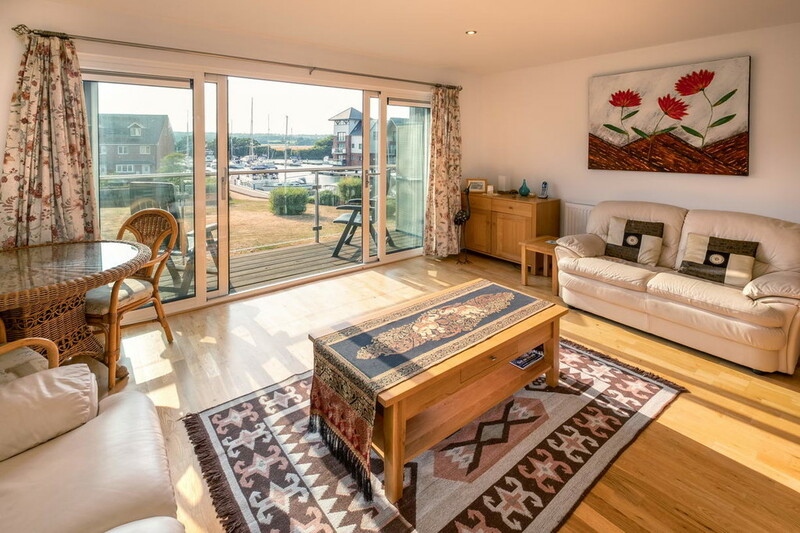 There are lovely views of the harbour and your boat (if you have one!). The kitchen comprises a range of wall and floor units with worktop over and is fitted with high quality Bosch appliances, including a frameless black ceramic glass hob, stainless steel fan assisted oven with glass extractor fan over, fully integrated fridge freezer, condensing washer dryer and dishwasher. 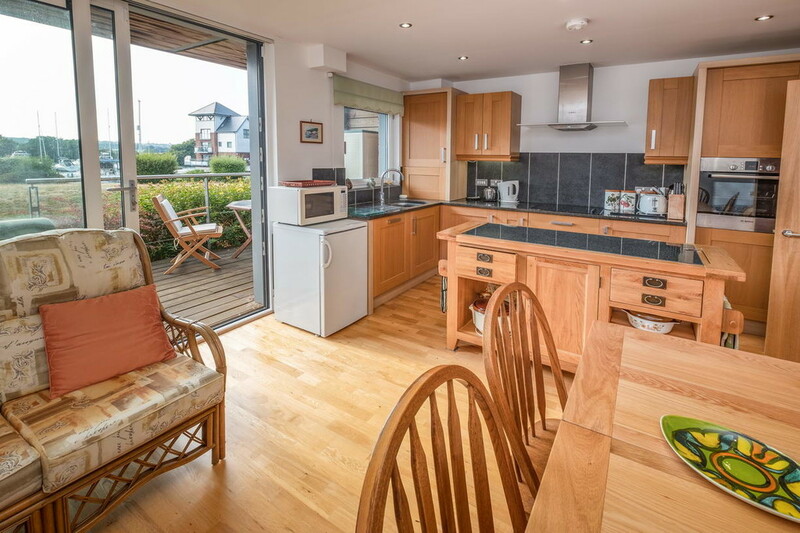 The current owners have also added a superb oak and granite island with more storage cupboards to provide a lovely central feature of the room. A one and half bowl stainless steel sink is below a window that enjoys harbour views. 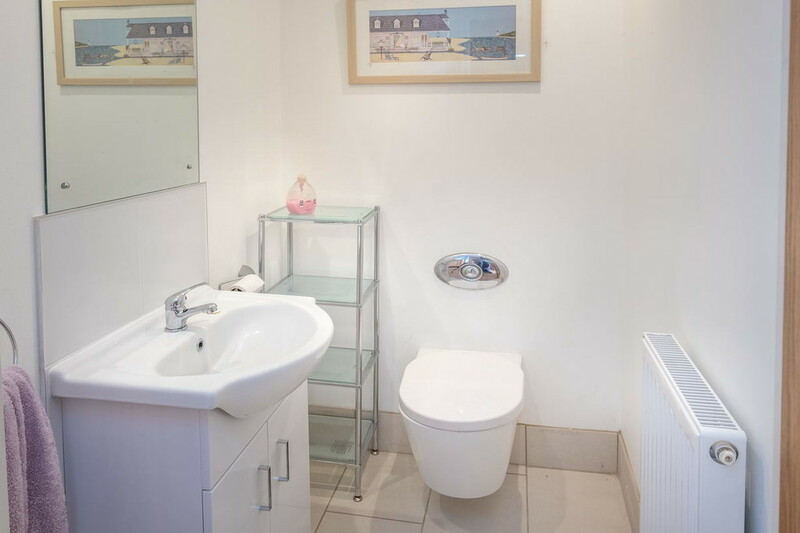 CLOAKROOM Low level WC, fitted wash hand basin with vanity style cupboard underneath, large inset mirror. BEDROOM/STUDY Currently used as a bunk room, this room would also make an ideal study. Double glazed window to front aspect. LIVING ROOM A good sized room that offers fabulous views of the marina and countryside beyond. Double sliding doors open onto the balcony to further enhance the views. 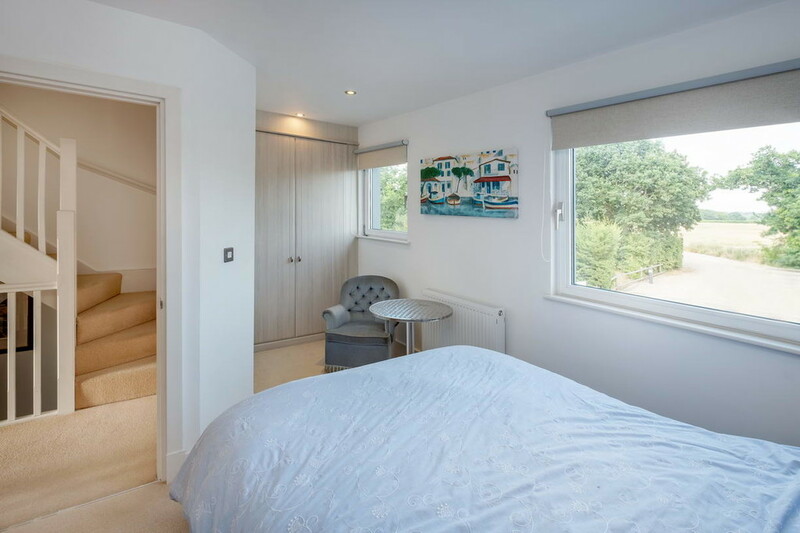 The room is supplied with numerous power points and the facility to operate lamp sockets from the main light switch. BEDROOM THREE Rear facing double bedroom. 2 windows make this a very light room. Super deep built in wardrobes with further storage behind. SHOWER ROOM Contemporary white suite comprising over sized shower cubicle with fitted mains shower, wall mounted WC and inset wash hand basin. Extra large fitted mirror, extractor and wall mounted heated towel rail. Heated towel floor. 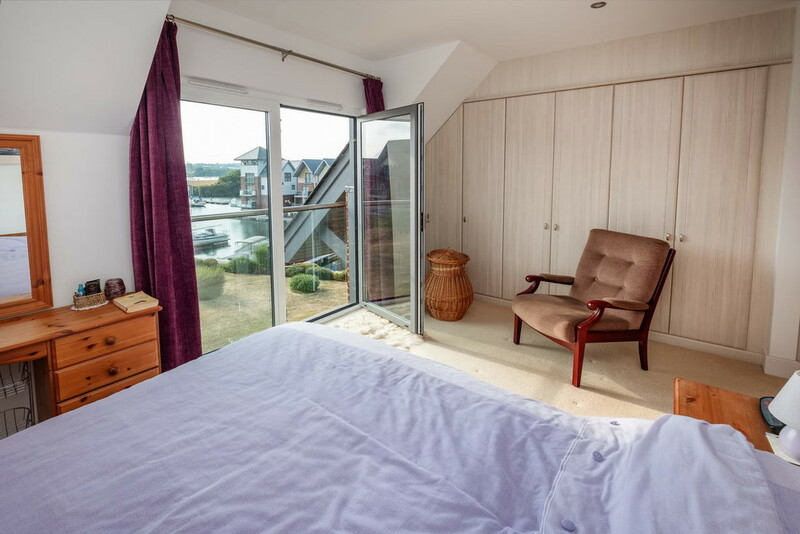 MASTER BEDROOM Large bedroom with Juliet balcony offering wonderful views of the harbour and your mooring below! Large fitted wardrobe and door to en suite. 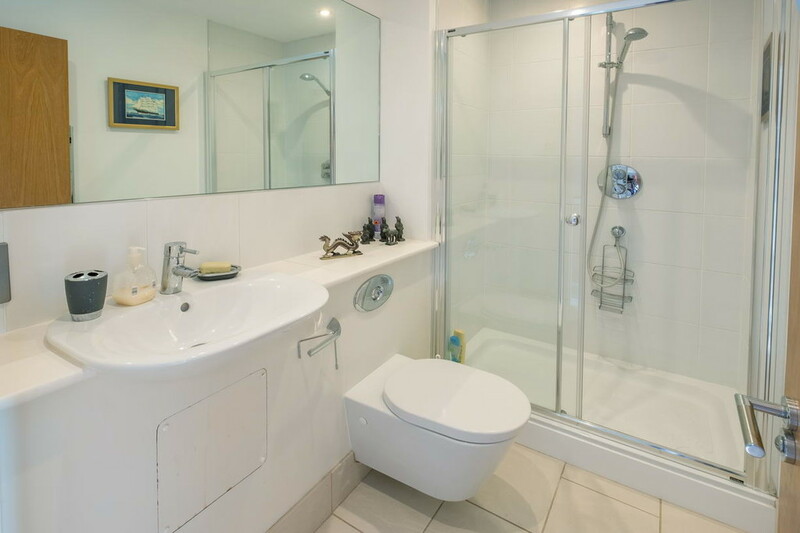 EN SUITE Modern fitted suite comprising panelled bath with shower over and glass shower screen, wall mounted WC and inset wash hand basin. Heated towel rail. Heated tiled floor. Cupboard housing Megaflow heating system. BEDROOM TWO Double room with large window overlooking rear aspect. Generous sized fitted wardrobe. 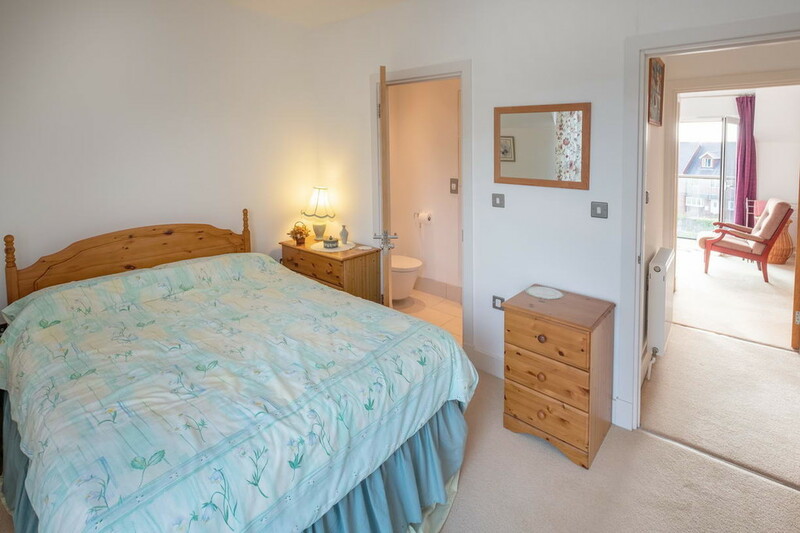 Door to en suite. 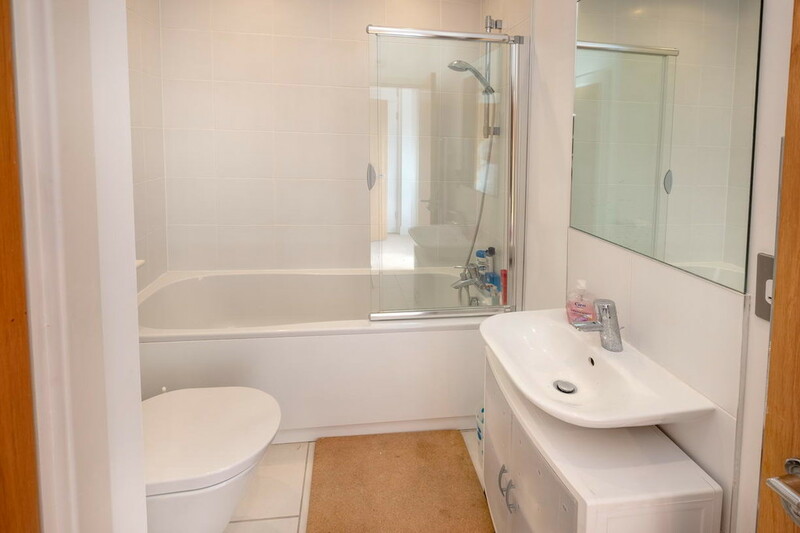 EN SUITE White modern suite comprising shower cubicle, with fitted mains shower, wall mounted WC, and wall mounted wash hand basin. 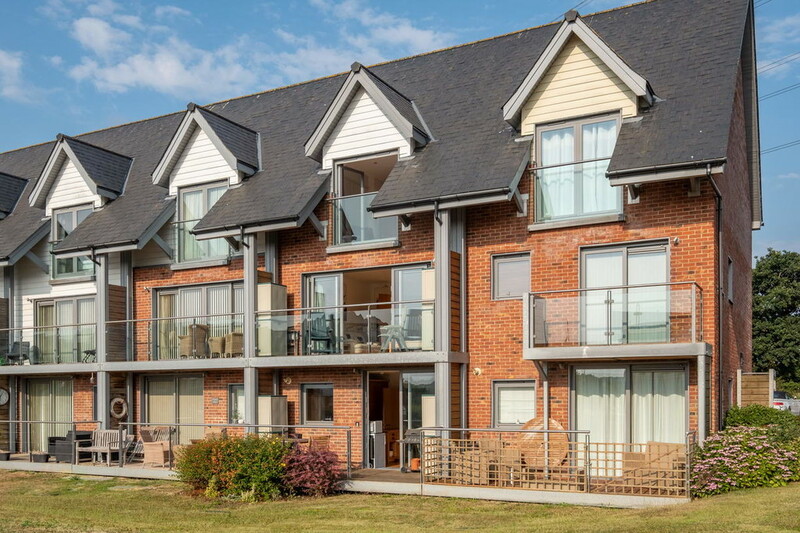 OUTSIDE As well as the 2 large balconies, 14 Cormorant Grove benefits from use of the communal lawned gardens to the front and rear of the property. 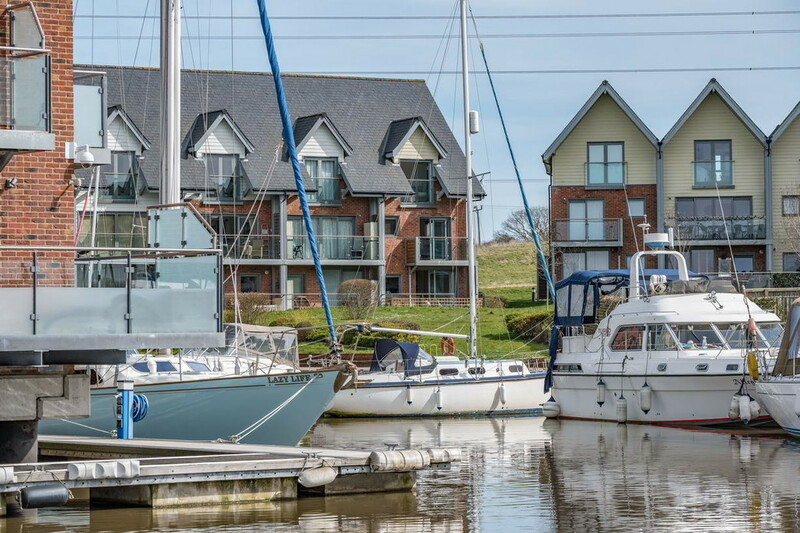 The property also has one allocated parking space, and one allocated mooring. 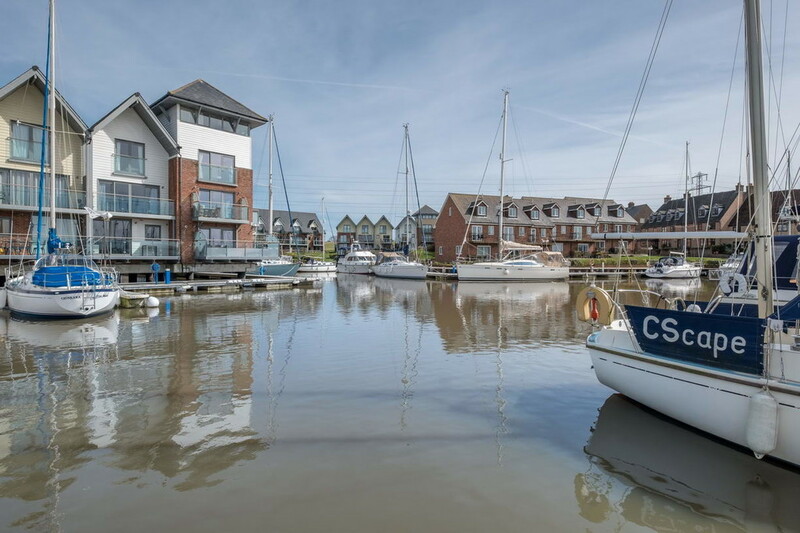 There is a maintenance charge of £1000 P/A to keep all the communal areas including the harbour and lock gates to a high standard. 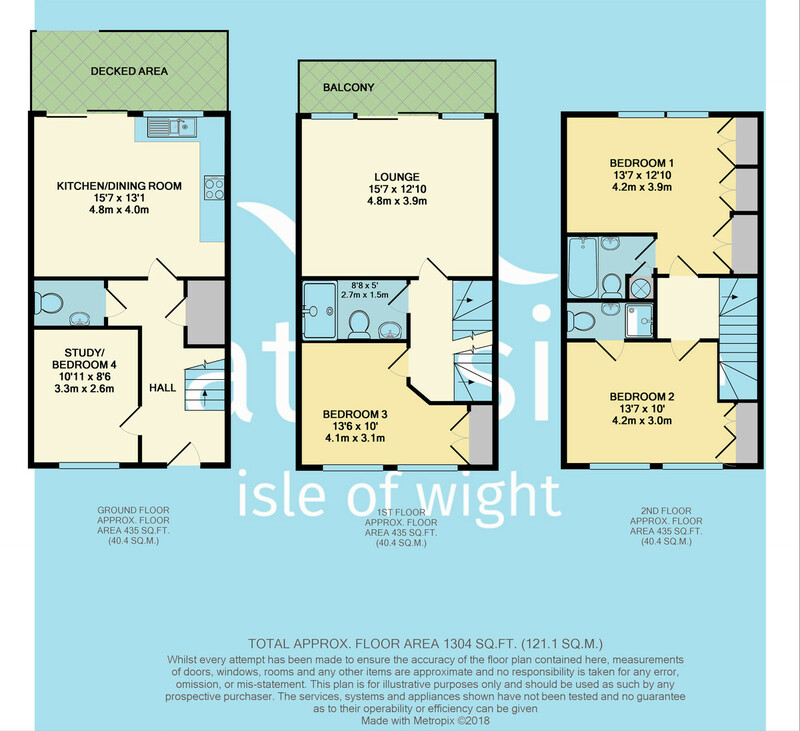 VIEWING Via vendors sole agent Waterside Isle of Wight.